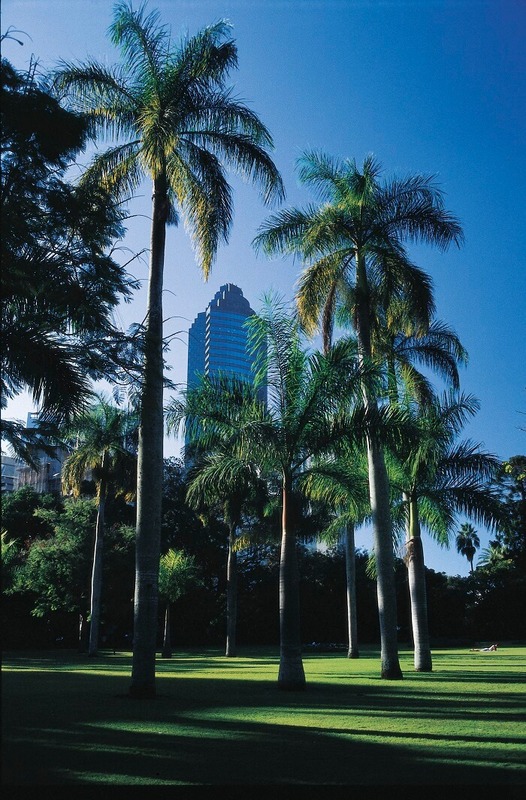 Brisbane is a vibrant city full of fun cultural activities and a hive of historic attractions to discover. 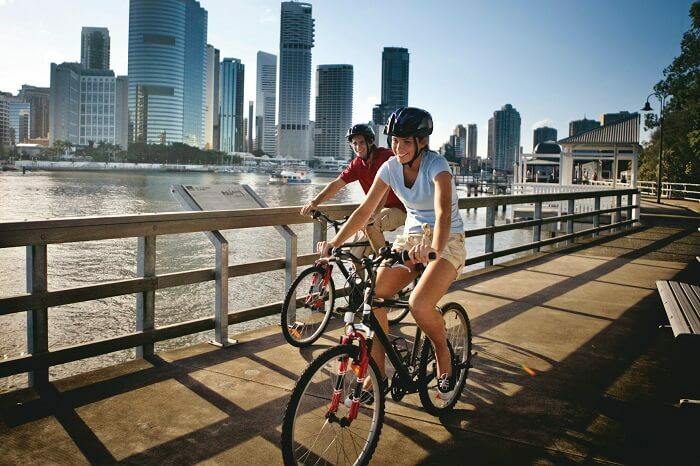 Peel back the layers of this city on our Brisbane City Tour by Bike. Please note: Guest are to arrive 15 minutes before the tour departs to get your bikes fitted. Trailers can be provided for small children upon request (Free Of Charge). Comfortable clothing and enclosed shoes are recommended. The tour starts at South Bank Parklands, and then takes in the historic and beautiful Kangaroo Point. From there, you’ll get to experience the iconic Story Bridge which takes us into the charming, picturesque suburb of New Farm. There, you’ll have the chance to take to two wheels and cycle down lush tree-lined streets and around the perimeter of New Farm Park, where there are plenty of picnic spots that overlook the river, pretty cycling paths, and playgrounds. Next, we’ll take in some of the fascinating culture of Brisbane in Teneriffe. Here, there are numerous heritage sites that have been renovated throughout the years. 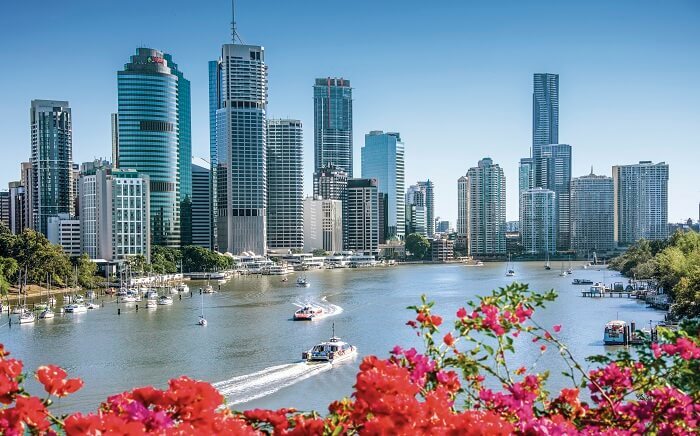 We’ll take you along the waterfront alongside the hustle and bustle of downtown Brisbane where you can discover some of the city’s most decadent riverfront restaurants. And then we cycle on through the greenery of the City Botanic Gardens. Keep your eyes peeled for attention-grabbing outdoor sculptures as well as the eclectic collection of both native and exotic plants. At the Brisbane Wheel, as our Brisbane City tour unfortunately comes to an end, but we’ll take you back to the start point at South Bank Parklands. This cycling adventure is the perfect way to explore some of Brisbane’s impressive history, culture, and scenery, and we can easily personalised your tour to reflect your riding skills and the interests of your group.